Whether you are planning a holiday on the eastern Costa del Sol or you are a resident, you will find a choice of health centres and hospitals within easy reach. The Costa del Sol offers excellent healthcare services and with a high concentration of expats and tourists in the area, some doctors also speak English. Healthcare for residents in Spain can be accessed by registering with a health centre, found in every town on the Costa del Sol. Healthcare centres on the Costa del Sol may offer both public and private healthcare - be sure to specify the type of healthcare you want. With five private medical centres on the coast, including three in Rincon de la Victoria, Nerja and Torre Mar, Clincas Rincon offers patients a wide choice of treatments. The company also issue a card known as the ‘101 Health Card’ which entitles holders to some free medical services and reduced rates for all services. The centres are open 24 hours a day and have English speaking doctors. Most major health insurance cards are accepted here. The public hospital, Hospital Comarcal de Axarquia in Velez-Malaga offers a vast range of services associated with the Public Health System of Andalusia. The hospital offers care for inpatients, outpatients and emergency admissions from the whole Axarquia area. Physiotherapy, occupational health care and exploratory procedures are also offered at the hospital, using the latest techniques and technologies available. For the uninitiated, Spanish pharmacies are every hypochondriac’s dream. Many are open 24 hours a day (often on a rota basis) and can be spotted at night by their green flashing neon signs. The pharmacies are generally well-stocked and the pharmacists, very knowledgeable. Many residents in Spain, if their symptoms are of the ‘mild to middling’ variety prefer to ask advice in the pharmacy than taking a trip to the health centre. And 9 times out of 10, they will be able to help. Note: you cannot buy paracetamol, ibuprofen etc. in the supermarket in Spain – only in a pharmacy. The private Centro Medico, Nerja offers high quality general medical care, X-rays, scans and specialist care including: traumatology, psychology, podology and physiotherapy. The centre has some of the latest medical equipment available and doctors speak: English, Russian and German. The Centro Medico is also a registered centre for drivers who want to renew their driving licences and offers a free photograph, a medical examination and test which is required for a new licence. 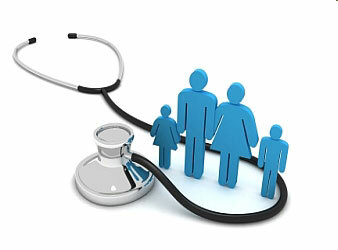 Most major health insurance cards are accepted here. You are a resident in Spain and under 18 years old.